Car care kits offer premium products at a substantial savings over purchasing a la carte. 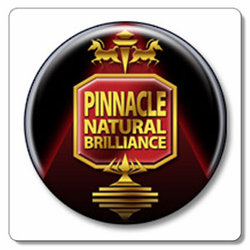 Take advantage of kit savings on Pinnacle Natural Brilliance. The entire line is fantastic. The Pinnacle product line combines natural and modern ingredients to achieve the highest attainable level of surface enhancement and protection. These formulas work in harmony to clean, condition, protect, and beautify your car's exterior and interior surfaces. To create this level of excellence, we meticulously hand-craft each and every product. You will see the results of such dedication in your car's shine. All of the more than 20 Pinnacle products have been presorted into kits, each one aimed at meeting a specific surface care need. In addition to top quality products, excellent values are packaged in each and every box!